No modern, functional, and livable building can exist today without a foundation. A solid foundation is an unquestionable requirement of the safety and suitability of a structure, so when a foundation is not solid, a lot more than just the building is in jeopardy. Foundations suffer serious structural damage due to a variety of soil-related problems, the most common of which is water. An excess of water from broken or leaking underground pipes, pooling water, or poor drainage erodes or expands the soil, while an absence of water from the transpiration of tree roots causes the soil to shrink. 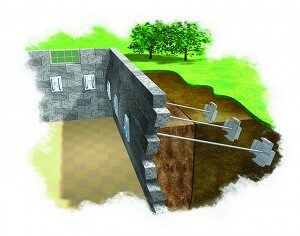 Other causes of foundational issues include improperly consolidated soil under the building or badly built foundations. All of these conditions are negative because they rarely influence the soil beneath a foundation in a uniform manner. Instead, they usually affect only one section of your foundation, and the fact that the affected area is small means that the resulting problems are big. Any minor foundational shifting can cause major structural damage and put the entire building at risk. When your building needs a solid foundation to survive, these threats of signification destruction are the last things you want to face. Any of these signs are enough evidence to suspect a problem with your foundation, and problems with your foundation should be remedied quickly and accurately. Therefore, Solid Foundations offers fast and effective foundation repair services because one of our top priorities is ensuring that the homes and businesses of Florida have a solid foundation upon which to stand. Our foundation repair services utilize the highest quality products implemented with the most efficient and productive techniques. Our products include steel piers attached to the building with brackets that repair the foundation by stabilizing the structure. Working with the weight of the structure, steel tubes hydraulically drive these piers through the soil until they are resting on solid bedrock or any other capable load-bearing strata. The friction reduction collar attached to the piers creates an opening in the ground that is perfectly sized to reduce friction as the piers push through the soil, and this collar also enables Solid Foundations to test the load to confirm that the piers have encountered strata or rock that is fully able to support the building. Once Solid Foundations proves that the piers are placed firmly, we then employ high-pressure hydraulic jacks to reduce the load on each pier to the design load, which is the maximum amount of weight the piers are designed to handle. In order to synchronize the stabilization of the structure, we connect our hydraulic jacks to the Manifold system and thereby ensure a smooth transfer of the load of the structure onto the piers. All of our Pier Systems have a lifetime transferrable warranty. 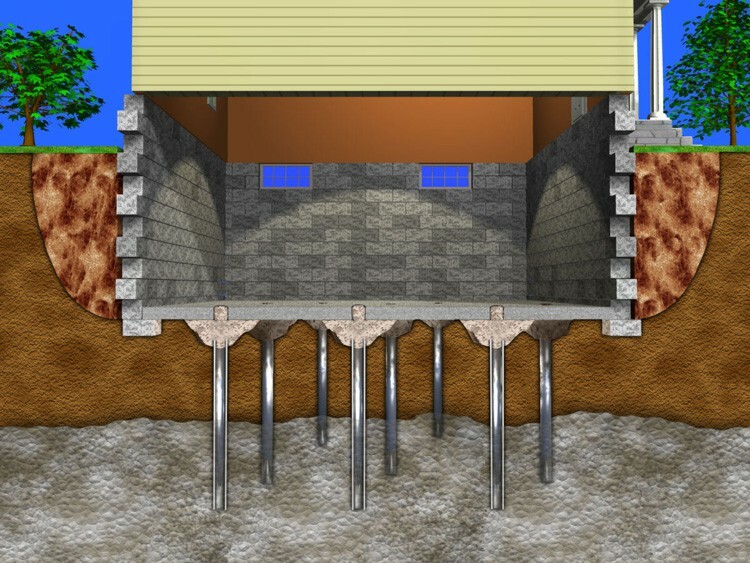 Our technique of applying steel piers to the foundation of the building benefits the foundation repair process in many ways. These steel piers can be installed quickly and in areas with limited access. They create little or no disturbance to the site, and Solid Foundations can easily load test them to verify their capacity. Solid Foundations can load the structure onto the piers immediately after installation, and we can install them no matter the weather. 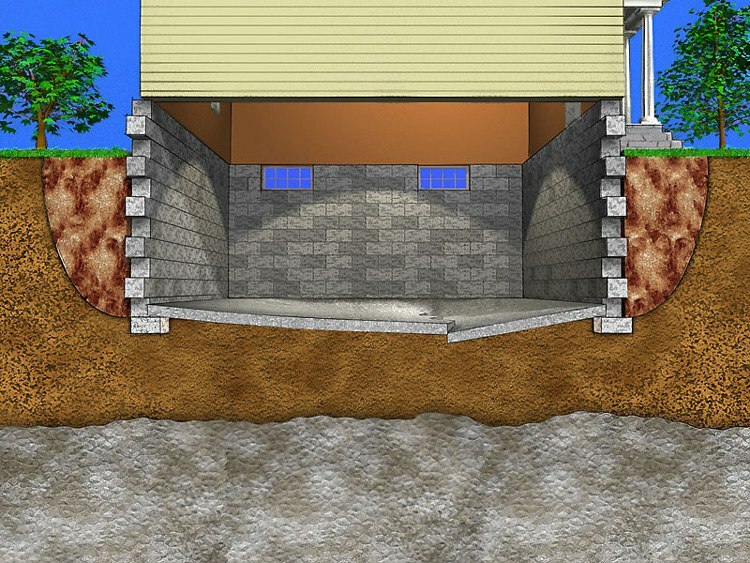 All of these features mean that we can save home and business owners time, money, uncertainty, and stress with our foundation repair services, and therefore, any residential or commercial building can trust Solid Foundations to put it back on solid ground. 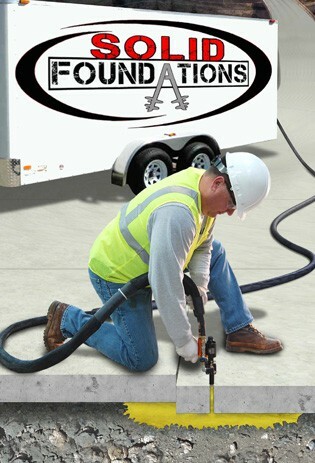 Let’s start your foundation repair today.